Paul says that believers should not be ‘unequally yoked with unbelievers’ (2Cor.6.14). In the context, this could perhaps refer to a business relationship, though that is unlikely because of the terminology. Greeks and Jews normally referred to marriage as a ‘yoke’ and they called a divorce ‘unyoking’, even in legal documents. Elsewhere Paul is unambiguous when he says that Christians can ‘marry anyone they wish, but only in the Lord’ (1Cor.7.39). He was addressing widows in this passage, but other believers aren’t different in this respect. Does this command apply to us today? We might be tempted to discard it simply because we don’t like it. Or, we might decide that his was one of those commands which were for a specific purpose which no longer applies to us. There are two tests which indicate that a command may be limited to a specific time or circumstance. The first test is whether the command was designed to conform to the morality of the time. For example, Paul acknowledged the rights of slave owners, even though he taught that all humans were free (Col.3.11, 22). By preventing unnecessary scandals and accusations of immorality the church could use its meagre resources on the more important task of spreading the gospel (1Tim.6.1). Commands that are made to help believers living in one circumstance may not apply when the situation changes. The second test is to see whether or not the command remained the same throughout Bible times. Commands which change with time, or which apply only at certain times, may not apply now. For example, when Israel lived in tents and had no means of restraining out-of-control louts, the penalty for being a ‘glutton and drunkard’ was death (Deut.21.20), but in New Testament times the penalty was merely social reprimand (Matt.11.19). This suggests that Christians today need not regard drunkenness as a capital offence. Does the Old Testament teach that Jews must marry a fellow believer? Yes – and no. Kings are told not to marry multiple wives or foreign princesses who might entice them to another religion (Deut.17.17). Individual Jews however, married foreigners without any hint that this was wrong, though they were not allowed to marry women from enemy nations of Palestine (Jos.23.12). For example, Moses married two foreigners (Ex.18.1-2; Num.12.1), and two of the three women named in Jesus’ genealogy were foreign – Ruth and Rahab. It wasn’t until Ezra’s time that there was a campaign to prevent intermarriage with all foreigners, and legal formulae forbidding such marriages are not found on any documents before Jesus’ day. In fact, the restrictions imposed on marriage in the Old Testament appear to be tribal, not religious. A Jewess who owned land could only marry within her own tribe, so that her land was not lost to other tribes (Num.36.8). And when Abraham decided his son Isaac should not marry one of the surrounding Canaanites, he didn’t send his servant to find fellow worshippers of Jehovah, but to find someone from his family tribe (Gen.24.3-4). Although Rebekah’s family referred to ‘Jehovah’, this was only after they’d heard Abraham’s servant use the name of his God. Her family actually worshipped local family gods like the people they lived among (Gen.31.19 – Laban was Rebekah’s brother). So her religion was of secondary importance to Abraham, because he could assume she would adopt Isaac’s religion. His chief concern was that Isaac married someone from among his tribal group. In New Testament times a Roman wife was expected to share the gods of her husband; so if she married into a family that honoured different gods, she had to worship them too. If she didn’t, their children could not be Roman citizens.1 This wasn’t a big issue in Roman society, where it was a virtue to honour all gods, but it was a huge problem for Jews. To make sure they weren’t pressured to worship other gods, Jews were only allowed to marry another Jew. Their divorce certificates reflected this by saying: ‘You may now marry anyone you wish, but only a Jew.’ As we have seen, Christians were commanded by Paul to only marry other Christians. Presumably this was for the same reasons that the Jews adopted their rule at about the same time. Being of the same religion was especially important when children came along. How could both parents go to the temple, make an offering, and get the priest’s blessing for their child if they venerated different gods? This is probably why the Corinthians worried that children of mixed marriages hadn’t been ‘sanctified’. Paul assured them they didn’t need to worry – God himself sanctified the children (1Cor.7.14). Christian teaching on mixed marriages differed from Roman and Jewish teaching in one important aspect: Christians weren’t allowed to divorce a partner simply because they had a different religion. Paul said that Jesus’ teaching on lifelong marriage applied just as much to mixed marriages as to marriages between believers. Like most early churches, there were couples in the Corinthian church where only one partner had become a Christian and some of these believers felt that they should divorce their non-believing partners. But Paul taught that marriage vows were permanent in God’s eyes and divorce should not be sought without biblical grounds. He told one woman who’d already left her non-believing husband, to return to him, if he was willing to have her back (1Cor.7.10-11). Other believers, however, had been divorced against their will by their non-believing partners, probably because they refused to worship in pagan temples. Paul told those believers that they could regard this as a valid release from their marriage (1Cor.7.15). Are today’s believers allowed to marry non-believers? Probably. As we saw, this command fulfils both criteria for a biblical command that is restricted to a specific culture. First, it is allowed at some times and forbidden at others, and second, it is prompted by changes in the surrounding culture. The new situation was that Christian women had to avoid non-Christian husbands in order to avoid being pressured into worshipping Roman gods. 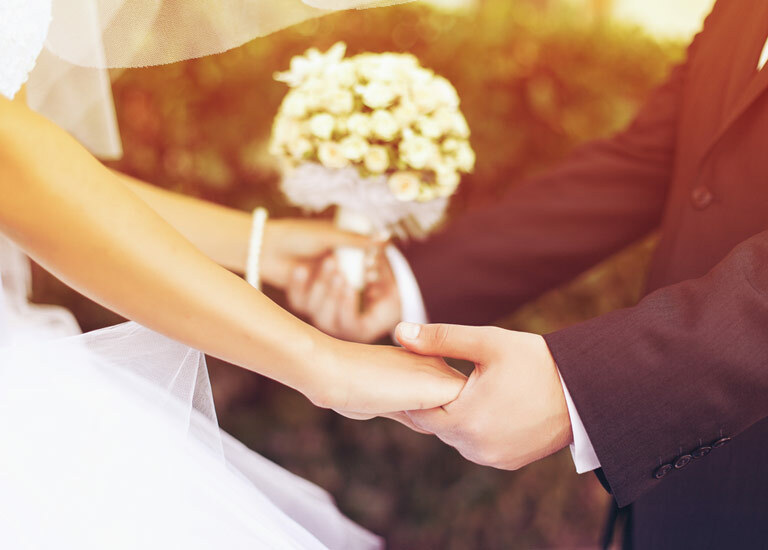 Is it wise for believers to marry a non-believer? Probably not. We can’t expect our partner to convert, like Old Testament Jews could expect a foreign wife to become a Jewess. Now, as in New Testament times, there is likely to be friction between partners who do not share a love for Jesus. However, now as then, some may be won over by the genuine gentle witness of a Christian lifestyle (1 Pet.3.1). However, there is one thing we can be certain of: God recognises the validity of marriages between a believer and non-believer. Also, God loves both the children and the non-believing partner just as much as their believing parent and partner loves them. Reference: BibleScandals.com – Iusti Coniuges from the Time of Cicero to the Time of Ulpian (New York: Oxford University Press, 1993, pp.44-50). In some ways, all Romans followed the same religion – the Emperor Cult – and they could also venerate whatever other gods they wanted. In Plutarch’s advice to newlyweds, he tells the wife to worship her husband’s gods but this merely means that she added his gods to the ones she venerated. This article was originally published on the ENGAGE network website. ENGAGE is a national network of Christian organisations working to promote positive relationships in the UK church and make Christian marriage possible.